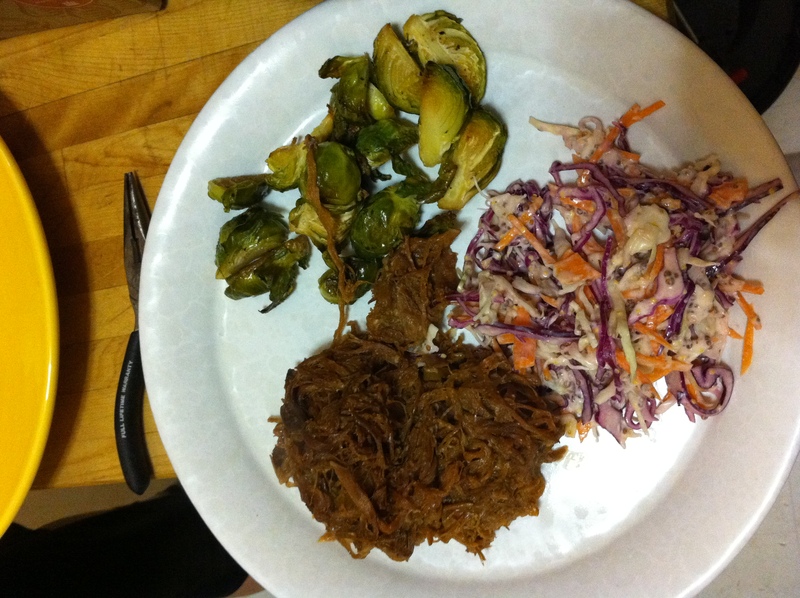 Slow-cooked pulled pork | Mom, How do I make this? My brother bought me a crock pot for Christmas a few years ago. 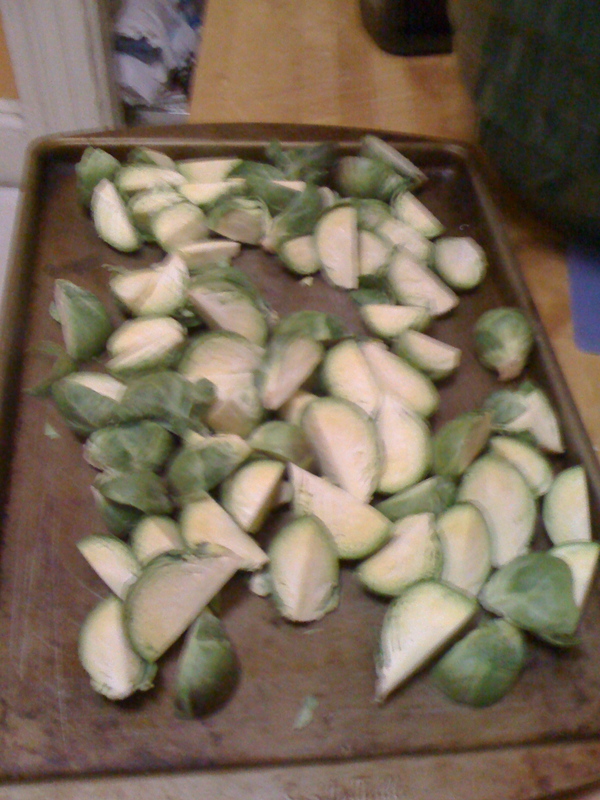 For some reason, I thought only people who couldn’t cook used them for things I traditionally want no part of. Like those little hot dogs with the barbecue sauce, for example. However, I recently discovered the Crock Pot is awesome. You can put something in there that would normally take hours in your dutch oven, and actually leave your home. This concept is amazing. 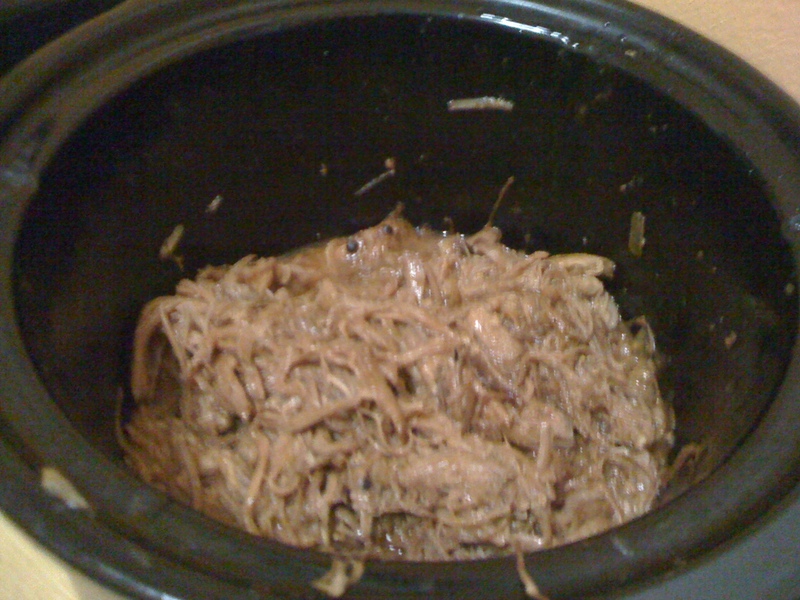 So with that, for all you people out there who use these things, or have them and don’t, here’s a recipe for easy pulled pork that Mom suggested when I told her I had leftover pork shoulder. Depending on the size of your crock pot you can make more or less of this. BBQ sauce. You can make your own, but since we’re going for minimal trouble here, Mom suggests buying Open Pit and Sweet Baby Ray’s and mixing them both. It works. It’s delicious. I’m not ashamed to say it. Add both to the pot and add enough broth to partially, but not totally, submerge the pork. Put the lid on and let it cook on low for about 7 hours. *Drain the liquid from the pork, using a strainer, then put it back in and seperate it with a fork. * From there, you can add the sauces directly, which is what I do, and cook it another hour or so, or you can mix up sauce and put on the side for people to add as they like. I hate mayo, so my Mom offered up this coleslaw recipe in exchange. It’s tart and delicious on a sandwich with the pulled pork. 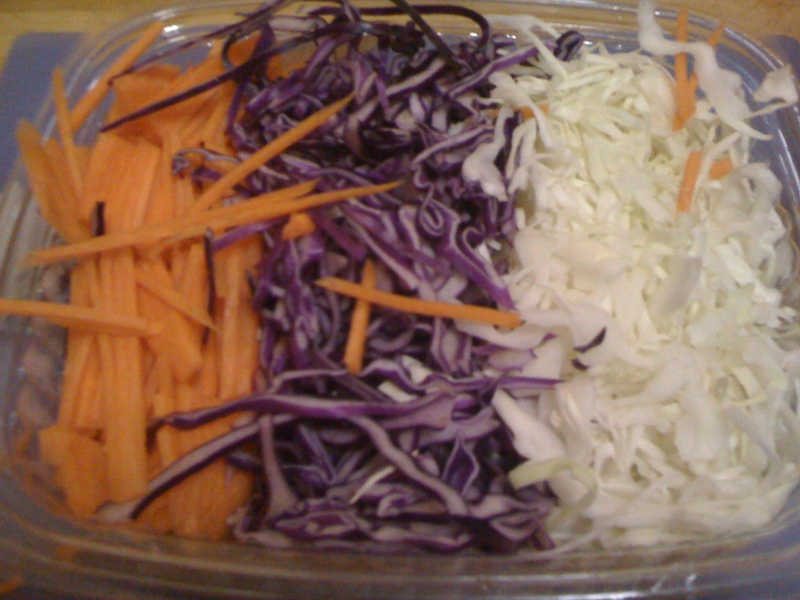 Shredded carrots, white and red cabbage. I’d say a cup of each. Here in New York, the land of you-can-get-anything, they pre-slice this for me at the vegetable shop near my house. (Thank you K&Y) But for you suckers who lack access to such decadence, you have to shred yourself. White wine vinegar, about a 1/3 of a cup. 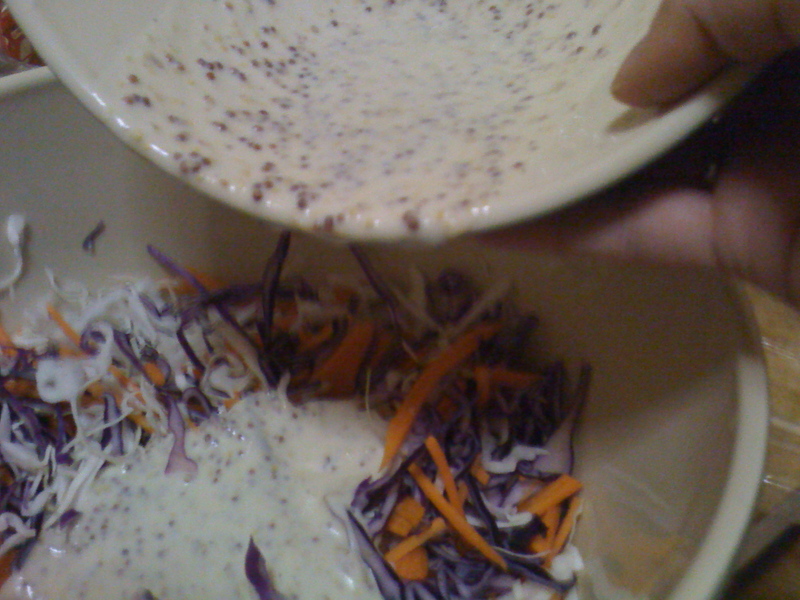 Mix the carrots and cabbage in a large bowl. In a smaller bowl, mix the dressing ingredients. 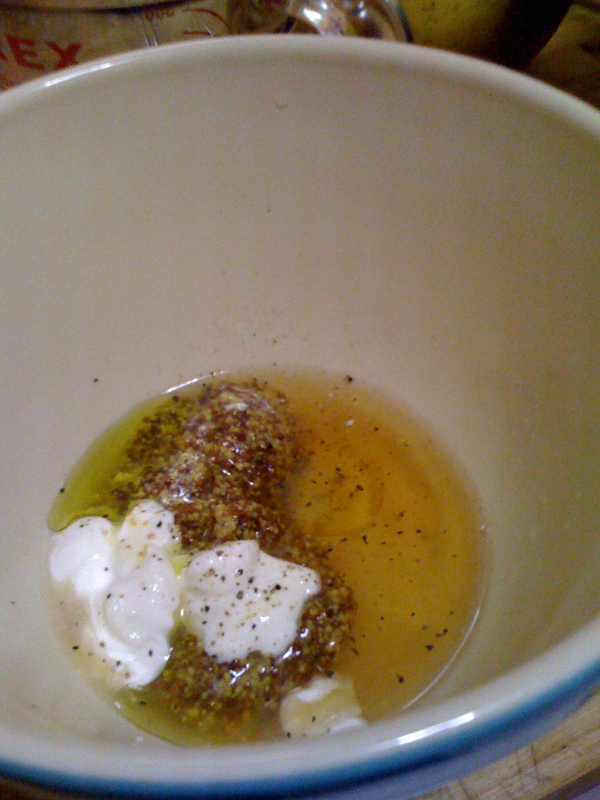 A light dusting of olive oil, salt and pepper, broil till brown and crispy, 30 minutes.